Foothills At Macdonald Ranch - incredible master suite w/sitting/theater area, cozy fireplace, luxurious ensuite w/jetted tub & steam shower & EXTRAORDINARY MLS#2084481. Luxury Homes of Las Vegas. Foothills At Macdonald Ranch - Additional features include: Elevator, wine room, wet bar, 2 laundry rooms & chef's kitchen equipped w/ custom cabinets & Viking appliances. 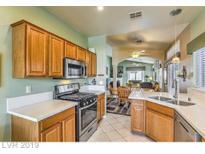 MLS#2083952. Luxury Estates International. Macdonald Highlands - This Modern Luxury Estate Has It All; 5 Bedrooms + Casita W/bath, 4-Car Garage, Private Courtyard, Strip Views, Lush Landscaping, Mesmerizing Pool/Spa W/Cabana, Built-in BBQ, Balconies, Covered Patio, Chef's Kitchen (Entertainers Dream), Dual Dishwashers, Dacor Appliances, Butler Pantry, Oversized Walk-in Closets, iPad Controlled A/V, Loft, Light/Bright, Professionally Designed Int. MLS#2084653. Christopher Homes Realty. Sunridge Summit Heights - Zoned for Twitchel, Vanderberg & Coronado High.Top rated schools in Nevada. MLS#2083405. Rothwell Gornt Companies. Sunridge Summit Heights - Gorgeous Giallo Portofino Granite, Cherry Raised panel cabinets, GE Stainless Steel kitchen appliances, GE W/D, 2' blinds throughout, upgraded flooring, Z-wave technology, 9' ceilings up and down, USB outlets at kitchen & master, front and backyard landscaping with outdoor fireplace w/private patio and much more! MLS#2082790. Coldwell Banker Premier. Sun City Macdonald Ranch - A Must See At This Price This Will Not Last Long! MLS#2082921. LIFE Realty. Sun City Macdonald Ranch - Covered patio @ tiled floor. All appliances included! MLS#2082743. Signature Real Estate Group. Sunridge Summit Heights - Beautiful Modern Henderson 2018 Pardee Home!Features Include Luxury Vinyl Flooring Throughout W/Tile Bathrooms.42" Upgraded Cabinets, Quartz Counters, 12 Ft Stackable Sliding Patio Door, Upgraded Super Master Shower, Backyard Landscaping, Top To Bottom Cellular Blinds, Water Softener, High End Stainless Steel Appliances, Lg Pool Size Back Yard, Com Dog Park, Green Belt W/Kids Play Area, Still Under Pardee Warranty, House W/Down Bedroom Full Bath! MLS#2081339. Flat Fee Pros. Sunridge At Macdonald Ranch - Move In Ready, A Must See! Great Neighborhood Great Location MLS#2081828. 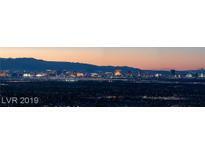 Vegas Capital Realty. 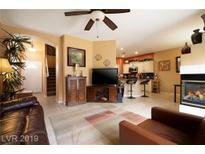 All located in Sun City Macdonald Ranch with community club house, gym, social calendar & more. MLS#2080885. BHHS Nevada Properties. Sun City Macdonald Ranch - Great patio with cover. Live it up! MLS#2081389. Nevada Desert Realty Inc.
Sun City Macdonald Ranch - Granite countertops in Kitchen & Baths*Stainless Steel appliances*Big breakfast nook,*Double door pantry*Upgraded patio door with internal blinds*Master bedroom bayed window area* Dual sinks in M.bath*Walk-in closet*Plantation shutters*Ceiling fans*Upgraded fixtures*Extended covered patio & ceiling fan*Water softener*Garage stor. cab's*Fenced backyard*All appliances inc! MLS#2081213. Ceci Realty. Foothills At Macdonald Ranch - This estate is a must see! MLS#2080858. Rothwell Gornt Companies. Sunridge Summit Manor - The master can be your own private getaway with spa like master bathroom/ 2nd floor boast of game room and double master. PERFECT 1 STORY SOLUTION MLS#2081081. Platinum R.E. Professionals. 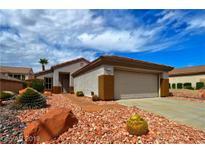 Sun City Macdonald Ranch Is An Active 55+ Golf Course Community MLS#2080472. Simply Vegas. Sun City Macdonald Ranch - Sun City MacDonald Ranch Over 55 community with golf course, community center, swimming pool, spa and many club activities. MLS#2080519. BHHS Nevada Properties. 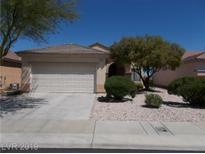 Sun City Macdonald Ranch - The living space is open & inviting, bedrooms are separate. MLS#2079679. The Anhder Agency. 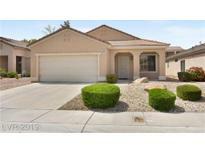 Sun City Macdonald Ranch - Rear yard has a covered patio and is fully fenced! MLS#2079715. BHHS Nevada Properties. Sun City Macdonald Ranch - Professional pictures coming soon, please check back. All appliances stay. Very nice! MLS#2079192. Nationwide Realty LLC. Montana Estates - your Buyers will love this one . MLS#2078862. LIFE Realty District. Sunridge At Macdonald Ranch - Don't miss this great buy MLS#2079578. Win Win Real Estate. Foothills At Macdonald Ranch - A peaceful water feature greets you in the front courtyard & outdoor fireplace in the backyard along side the raised sparkling pool. Fully furnished! MLS#2077865. Simply Vegas. Sun City Macdonald Ranch - 2 car garage. New water heater. Must See! MLS#2078745. Windermere Anthem Hills.